So You Wanna Be Fascinating? A guide to help us discover how and why we fascinate, and how we may increase our own levels of fascination. This book is quite a read, and, indeed; a fascinating one. You’ll want to chew and digest these words slowly, Creative Beasts, and perhaps finish with a taste of fine Cognac (which, by the way, would be appealing to the lust trigger–and trust, because we know it will provide comfort). 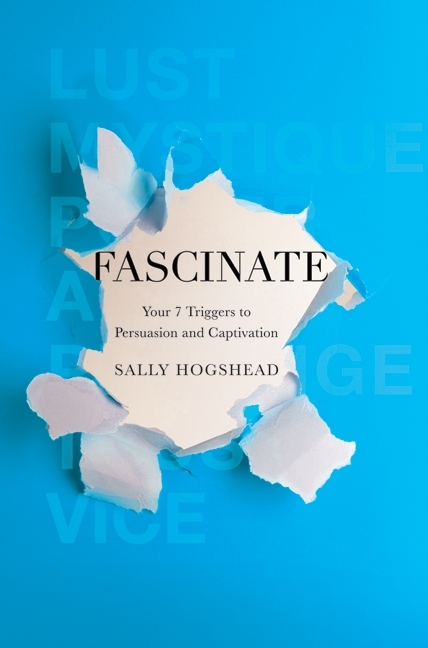 In her book, Sally Hogshead takes us on the fascinating journey of fascination using a style that succinctly and playfully pulls every trigger as we go along. It boils down to this: The seven triggers of fascination are simply the tools we use to communicate and respond to one another, but by learning about how they work–and becoming aware of their nuances–we may adjust our methods and levels of use accordingly in order to better persuade and captivate our audience. You can almost think of it as learning the ways of the force. Okay, well. Not exactly, perhaps. But perhaps not so disimilar either. “The Force” didn’t suddenly appear out of nowhere when Obi Wan introduced Luke to its ways. It was always there. Likewise; lust, mystique, power, alarm, prestige, trust and vice are all there being used by each of us in the ebb and flow of the tides in which we tweet, grin, wink, flash, flirt, yell, coo and/or whisper–with, to or at one another. Who or what fascinates you and why? In what ways would you like to be more fascinating? In general, I, myself, am fascinated by creative people of all kinds–artists, writers, scientists, musicians, politicians, filmmakers, designers, architects, chefs and the list goes on. One of my key groups of particular intrigue happens to be great journalists. They are often in the spotlight, yet their jobs entail and require aiming the focus at someone else… people like Charlie Rose, Terry Gross, Mike Wallace, Gwen Eiffel, Ira Glass and the late Peter Jennings, to name a few. The core values of journalism are based on trust. That brings us to another point, which is the power balance. The best in journalism get to interview the most fascinating people because they, themselves are forces to be reckoned with, and people of power are typically fascinated by other people of power (and they often seem to enjoy the opportunity to disseminate their messages to the masses). Here is another game that takes place, which is a challenge of wits, intelligence and at times; superiority. You’ll find interesting battles of wills when you listen to Terry Gross‘ recent interview with Karl Rove on NPR’s Fresh Air, regarding his latest memoir, Courage and Consequence: My Life as a Conservative in the Fight. And finally, we have the queen bee of fascinating people, Ms. Barbara Walters. She uses her lust and mystique triggers very well. She displays her sweetness as she walks arm in arm with her subjects, but make no mistake; she is also a major lady of power who is well known for making even some of the toughest nuts to crack–cry. Could it be that some of us actually want to cry with Barbara Walters? Could this be a vice trigger? Hmm. Here she is interviewing Lady Gaga. She did not cry. 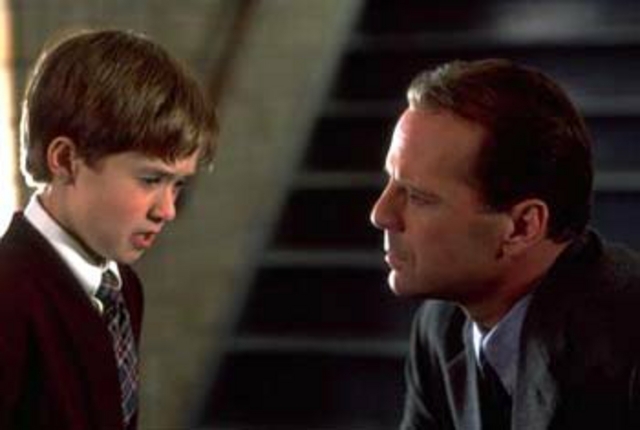 Dr. Crowe talks to Cole in the film, The Sixth Sense. Perhaps if we’re each able to view our lives as more of a game with one of the goals being that we create rules as we go, we may find that our day to day exchanges will become more fascinating. By being aware of cues and making notes as well as recognizing our own signals, we may find that there is a fascinating Jedi as well as a “force” in us all. By the way, have you taken the F-Score test yet? It’s quick, fun and enlightening. I dare you to do it! Until next time, Creative Beasts… SEIZE THE PREY.